Hi, here we go again with the typical outfit post, hehe.. Introducing Dizzy Little Dotty, an Australian based label where you can find artistic t-shirts that is a little different to your usual mainstream tees. Actually the pictures printed on the shirts are the owner's very own artworks, awesome eh? Her name is Lauren Carney, she is a very talented artist who inhabits the city of Brisbane. If you are a fan of fun, playful, and quirky characters, then you should really check out her art HERE and her shop HERE. Oh, almost forgot! 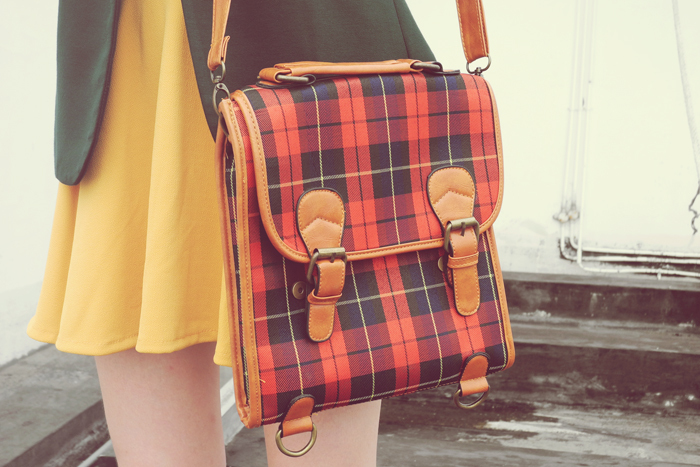 I am also fascinated by the quality of the fabric (so soft!) and... the neckline. In case you were not aware, the neckline is a very important part of a garment. Look out for the ones that can enhance your body shape and flatter your figure. 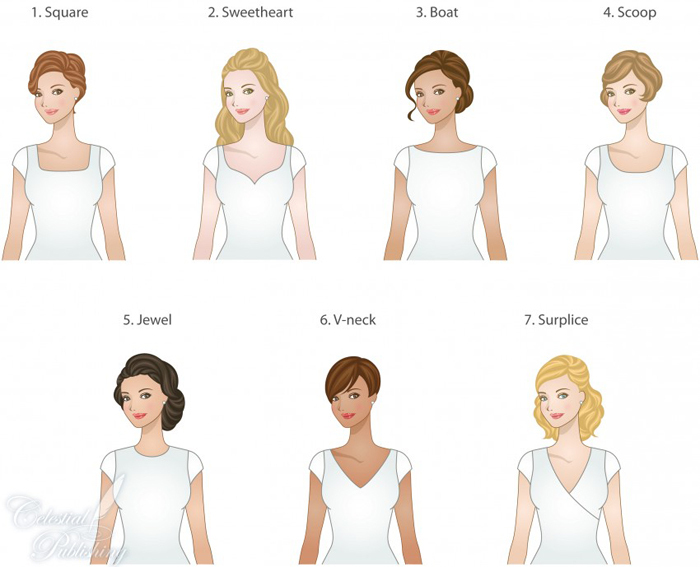 Some of the types of neckline. Image courtesy of this site. I got this blazer from Forever21 in Japan and I was sooo happy when I found it. I've been looking for this green shade for a long time and this is just perfect! Also this blazer was their last item and happened to be my size! Lucky!! 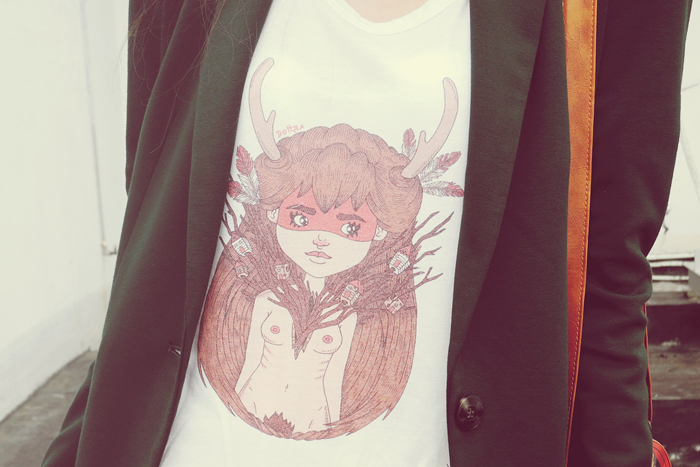 Fawn Tee from Dizzy Little Dotty. I love you Lauren Carney! For shoes, I am wearing these Batik print boots from Laceorie to spice up my whole outfit, and I absolutely love the beautiful prints and how easy they are to walk in them. You can see my first pair from Laceorie HERE. My favorite photo of him holding a baby Samoyed. I really love the batik print boots! I never thought that batik print would look great on edgy boots. Love the outfit dear! And it's nice to know the different necklines too hehe. Happy birthday to your brother! 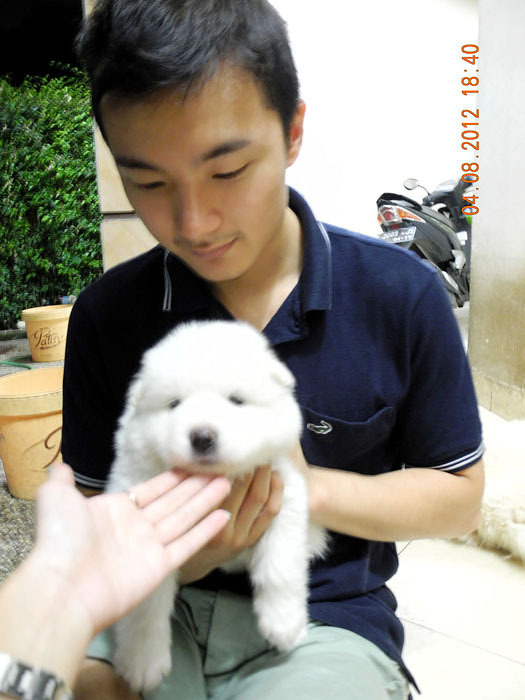 Hello to the baby Samoyed dog! Awwww so cute! Love your blazer color! I always want a blazer in that shade too..*Q* oh, happy bday to your bro!